We can scan loose photos, photos mounted on card, photos in frames etc - the price varies according to the difficulty. For clean loose photos we use a "Shoebox Photo Scanner" that allows us to offer a fast and inexpensive scanning service provided the photos meet our strict criteria. Cost is $20 set-up fee plus $1.50 per photo. Photos must be loose, no smaller than wallet size (3”x4”) or larger than 8" x 12. 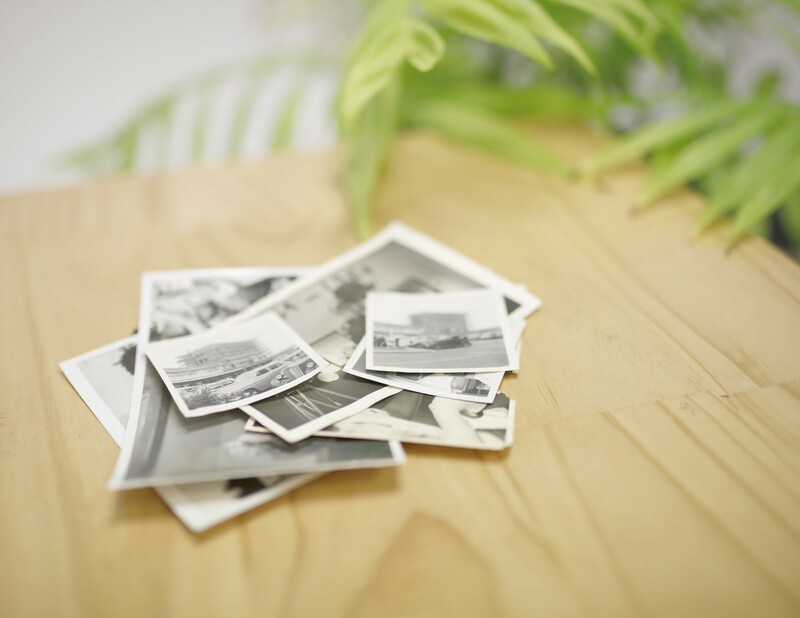 Two Sided Scanning: Some of your photographs may have handwriting on the back that you also want scanned. Group these together and identify them as ‘scan both sides’. The second side will count as an additional scan. The prices can depend on a few factors such as type of frame, state of the album, etc. We prefer to see the original frame/photo/album before we provide a price as it can be hard to visualise during a phone conversation. Copyright: By law we are unable to scan copyrighted images, UNLESS you have a written copyright release from the copyright holder, which is generally the photographer.